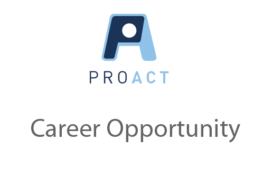 Job Posting - Direct Service Professional - Zumbrota - ProAct, Inc. Serving people with disabilities for more than 45 years. Job Description: Direct Service Professionals train and support individuals with disabilities in work, classroom and leisure settings. Plans, prepares class curriculum/lesson plans and teaches classes. Provides assistance with various activities and support in a work setting. Assists with behavior management plans. Completes all record keeping in a timely and accurate manner, including but not limited to consumer time cards, case notes, behavior observation charts, seizure logs, daily logbook, and accident/injury reports. Assists with consumer’s personal care needs including but not limited to toileting, feeding, food preparation/set-up, break room supervision, dressing and washing. Transports individuals on a daily basis and provides coverage for lunch duty.